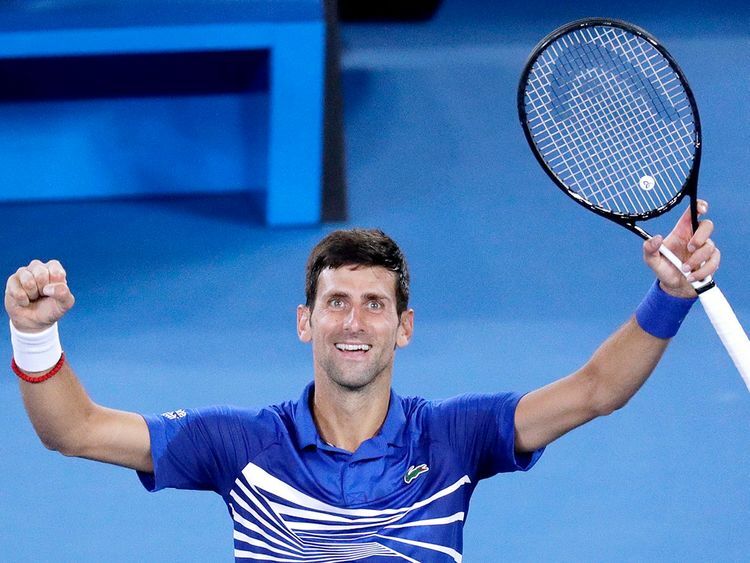 Melbourne: A rampant Novak Djokovic completed a stunning 6-0, 6-2, 6-2 demolition of Lucas Pouille on Friday to storm into his seventh Australian Open final and set up a mouthwatering title match with Rafael Nadal. The six-time champion was at his devastating best in the one hour and 23 minute procession as he gave the hapless Pouille a brutal lesson in Grand Slam tennis and extended his perfect semi-finals record to 7-0 at Melbourne Park. Attacking the lines with machine-like precision, Djokovic broke the 28th-seeded Frenchman seven times yet never looked in danger of conceding a break point. Djokovic was left struggling to remember whether he had played any better in his previous Melbourne semi-finals. “It’s definitely one of the best matches I have ever had on this court, definitely. Everything worked the way I intended before the match,” he said. Djokovic will meet second-seeded Spaniard Nadal in Sunday’s final seven years after the Serb prevailed in a five hour 53-minute epic at the 2012 tournament, the longest Grand Slam final on record. In the women’s draw, the rewards could not get bigger when Petra Kvitova takes on Naomi Osaka in Saturday’s final with one of them set to emerge as a fresh champion at Melbourne Park as well as the new world No. 1. Four months after stunning 23-time Grand Slam champion Serena Williams in the final of the US Open last September, 21-year-old Osaka is one win away from becoming the first player since Jennifer Capriati to win the next Grand Slam after her maiden major title. The fourth seed, one of the cleanest strikers of the ball in women’s tennis, is not expecting it to be a cakewalk, especially being pitted against an opponent as aggressive as Kvitova, who is also more experienced with two Wimbledon titles under her belt. The No. 1 ranking will be the cherry on the top for the winner as she will unseat Romanian Simona Halep, who was ousted by Serena Williams in the fourth round, at the top spot of the women’s game on Monday. It will be a first-ever week as world No. 1 for either players as Osaka is at her career-best ranking at fourth, while Kvitova climbed as high as second during 2011. Barbora Krejcikova (CZE x3)/Rajeev Ram (USA x3) v Astra Sharma (AUS)/John-Patrick Smith (AUS).